(Beyond Pesticides, January 18, 2019) A new analysis by Charles Benbrook, PhD, published in the journal Environmental Sciences Europe, adds to the chronicle of the failures of the U.S. Environmental Protection Agency (EPA) to protect human health from toxic pesticides, and in this subject instance, from glyphosate. Meanwhile, a French Court has pulled the license for a Roundup product, citing the French government’s failure to protect public health. In his paper, Dr. Benbrook examines the divergent positions on the carcinogenicity of glyphosate — the active ingredient in a number of herbicides, most notably Monsanto’s (now Bayer’s) Roundup — taken by the International Agency for Research on Cancer (IARC) and by EPA. The paper calls out EPA’s handling of science related to the safety of glyphosate, suggesting that the agency has discounted evidence of the compound’s association with genotoxicity — destructive effects on cellular genetic material that can cause mutations — which can result in cancer. Dr. Benbrook is an American agricultural economist, former executive director of the National Academy of Sciences board on agriculture, and former research professor at the Center for Sustaining Agriculture and Natural Resources at Washington State University. 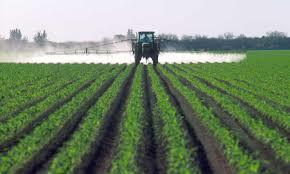 He has long studied pesticide use related to genetically engineered crops in the U.S., as well as their health impacts; see previous coverage by Beyond Pesticides here and here. The analysis also precedes the first scheduled federal trial about whether glyphosate compounds can cause cancer. That suit, by California resident Edwin Hardeman, which will be heard in federal district court in San Francisco starting on February 25, will be the first to go to a jury among more than 620 cases pending in federal litigation. Dr. Benbrook testified as an expert witness in Mr. Johnson’s case, and is expected to testify for the plaintiff in Mr. Hardeman’s. Unsurprisingly, the defendant in the federal court case is seeking to have Dr. Benbrook’s testimony excluded. The difference between the IARC and EPA positions on the carcinogenicity of glyphosate is this: in March 2015, IARC classified glyphosate (as well as malathion and diazinon) as “probably carcinogenic to humans.” (Upon IARC’s announcement, Beyond Pesticides called on EPA and the U.S. Department of Agriculture (USDA) to stop the use of the herbicide, given that ruling.) EPA, on the other hand, continues to classify glyphosate as “not likely to be carcinogenic to humans,” despite scientific evidence. Dr. Benbrook’s analysis considered the number and nature of the glyphosate studies evaluated by IARC and EPA. His conclusion? “Clearly, compared to EPA’s genotoxicity review, the IARC review is grounded on more recent, more sensitive, and more sophisticated genotoxic studies, and more accurately reflects real-world exposures.” In addition, he noted that EPA has relied for its fundamental assessment of glyphosate on dozens of studies paid for by Monsanto (and other makers of glyphosate products) that found no evidence of association with the development of cancer in those exposed. EPA has maintained that its review of glyphosate has been comprehensive and vigorous, that glyphosate represents a “low toxicity” risk for humans, and that glyphosate-based products are safe to use when label directions are followed. Dr. Benbrook, however, says that very little of the research EPA has used in its review of glyphosate actually evaluates the compound in the formulations that are sold in the marketplace and used “on the ground.” In its classification decision, IARC highlighted concerns about herbicide formulations that combine glyphosate with other ingredients to enhance weed killing effectiveness. Although Dr. Benbrook’s analysis is the first to do a deep dive on how and why the EPA and IARC drew such different conclusions, other scientists (including some from EPA’s Office of Research and Development, and from a panel of scientific experts convened by the EPA) have also identified problems with the agency’s classification of glyphosate as “not likely to be carcinogenic to humans.” He reviewed the citations for genotoxicity testing in EPA and IARC reports — both those that were published in peer-reviewed journals and the unpublished ones given to EPA by Monsanto (and other companies). Dr. Benbrook’s analysis also found that at least 27 other studies published during the past three years have addressed potential mechanisms of genotoxic action for glyphosate and/or glyphosate-based herbicide formulations, and all but one reported one or more positive result. According to Dr. Benbrook, EPA’s failure to focus on these formulations is dangerous because they “account for all commercial uses and human exposures (no herbicide products contain just glyphosate),” and much more research is needed on real-world exposures. Concerns about the safety of glyphosate-based herbicides is hardly confined to the U.S. After a great deal of “churn” about the issue in Western Europe, including a proposed 10-year extension of use approval, in early 2018, the European Parliament convened a Special Oversight Committee to review the European Union’s authorization procedure for pesticides, largely because of its controversial review of glyphosate. Now comes news that a French court has canceled the license for, and instituted an immediately effective ban on, Roundup Pro 360, one of Bayer’s (Monsanto’s) glyphosate-based herbicides. A court in Lyon ruled that the 2017 approval of Roundup Pro 360 by French environment agency ANSES (Agence nationale de sécurité sanitaire de l’alimentation, de l’environnement et du travail) had not respected a “precautionary principle” in failing to consider potential health risks. With thousands of court cases pending in the U.S. alone, Bayer and other pesticide producers may have a rough road ahead, and judicial action may eventually force regulators to act more ambitiously on protection of human health from glyphosate-based products. Beyond Pesticides will monitor developments on the glyphosate frontier; keep informed through its Daily News Blog. This entry was posted on Friday, January 18th, 2019 at 12:00 am	and is filed under Bayer, Environmental Protection Agency (EPA), Glyphosate, International, Monsanto, Uncategorized. You can follow any responses to this entry through the RSS 2.0 feed. You can skip to the end and leave a response. Pinging is currently not allowed.